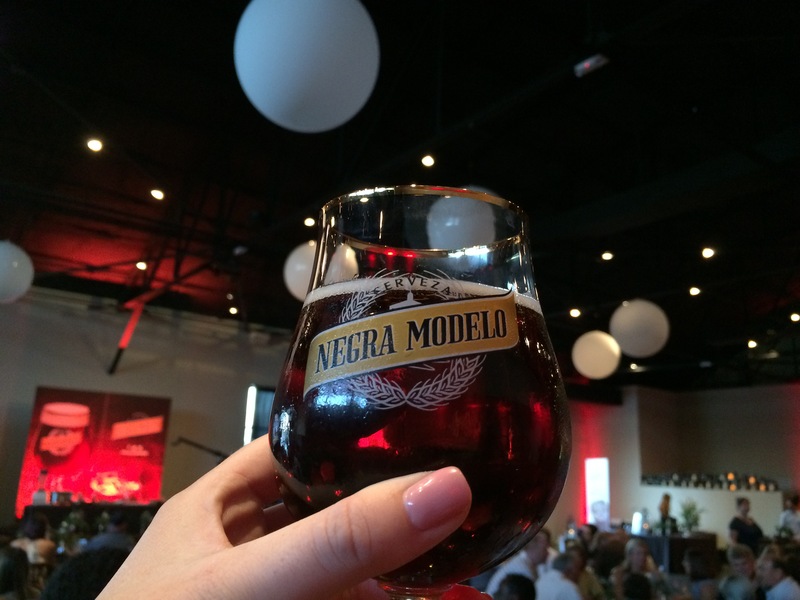 Tonight I had the pleasure of taking part in a super cool event hosted by Negra Modelo at 3015 at Trinity Groves. 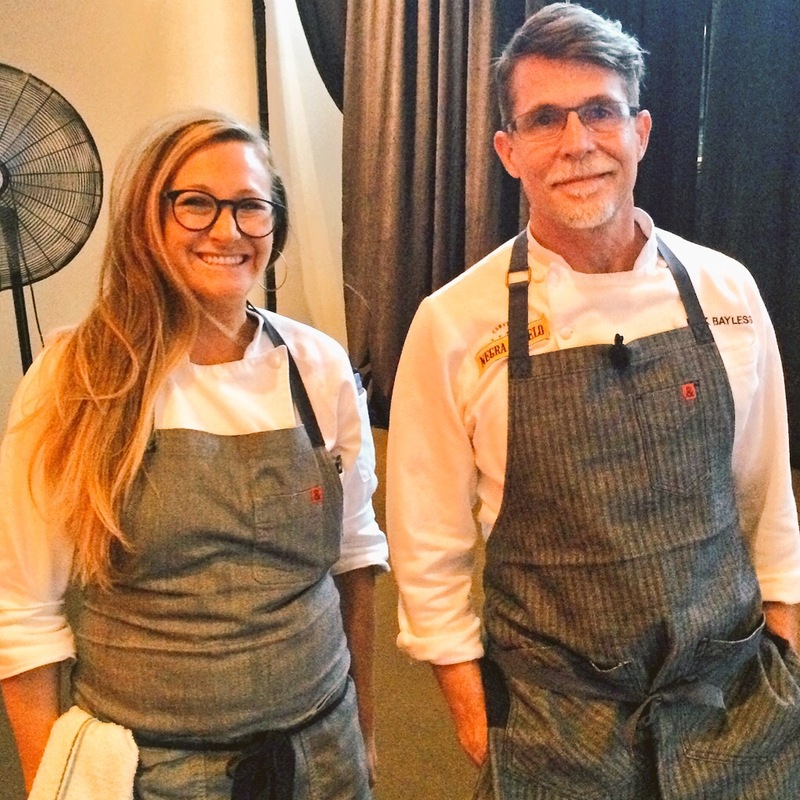 Featuring special guest, Chef Rick Bayless, the evening was filled to the brim with beautiful decor, delicious food and lots of beer! 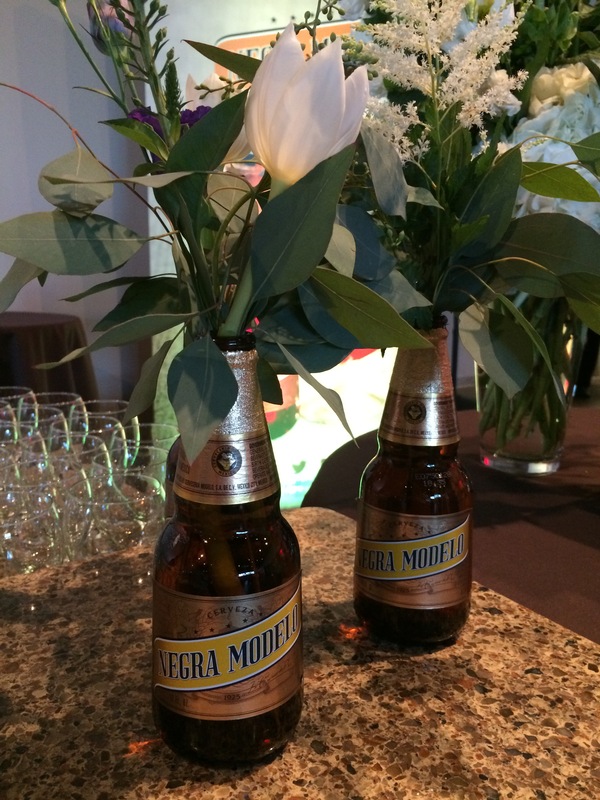 Tagging @NegraModeloUSA as well as utilizing the hashtag, #ThePerfectComplement, guests were encouraged to live-tweet the evening with each tweet adding to milestone markers which then “unlocked” Negra Modelo branded prizes such as glass-wear, a cutting board (for those limes, of course!) and even a signed copy of Chef Rick Bayless‘ new book Frontera. As giant lanterns lit up the room and beautifully decorated tables presented a shabby-chic (and boozy) theme which included repurposed Negra Modelo bottles as vases, guests were treated to an open bar that served up ice-cold Negra Modelos as well as a buffet style dinner that featured dishes such as carrot and jicama coleslaw, beer braised chicken and even chocolate praline pecan bars. Finally, the moment we all had been anticipating arrived and Chef Rick Bayless hopped on stage to do some live cooking demonstrations for us. Beginning with a true staple, guacamole, Chef Bayless taught this old dog some new tricks. Now, I probably eat my bodyweight in guacamole five times over each year, so learning tips that can make my homemade dip even better was a total game changer. For example, Chef explained that if using an onion in your guacamole, run it under cold running water for a few minutes before chopping to keep the onion crisp and prevent those dreaded onion tears that we all dislike so much. Chef Bayless, although a big fan of traditional guacamole, also urged the crowd to “think outside the guacamole box” adding that in winter time at his Chicago restaurant they add in sun-dried tomato into their dip and even substitute cilantro for basil on occasion. Can you imagine? Sun-dried tomato basil guacamole. I may as well just die and go to heaven now! Something that I found particularly cool is that in Chef Rick Bayless‘ new book, Frontera, there is a whole section entitled “A Master Class in Guacamoles“ and for someone like me who could literally live of guac, this is an epic find so be sure to check it out! The next order of business was Chef Bayless‘ demo of slow cooker lamb barbocoa with penca. Yeah, I said it: SLOW COOKER LAMB BARBOCOA. I personally really enjoyed this demonstration because let’s face it – when thinking about what to make my family for dinner, lamb barbocoa would seem so out of my element its laughable. However, Chef Rick Bayless did a really great job making this dish accessible to every home cook by utilizing a slow cooker. As an added treat during the demo, fresh tacos stuffed with super tender meat were passed out and you could practically hear the ooh’s and ahh’s coming from guests mouths as they watched Chef with wide eyes. The night closed down with an invitation to dance along to the music while continuing to enjoy the refreshing Negra Modelo beers but not to worry, the fun doesn’t just stop here. Be sure to follow @NegraModeloUSA on Twitter and Instagram and search the hashtag #ThePerfectComplement to see even more action from the incredible evening! 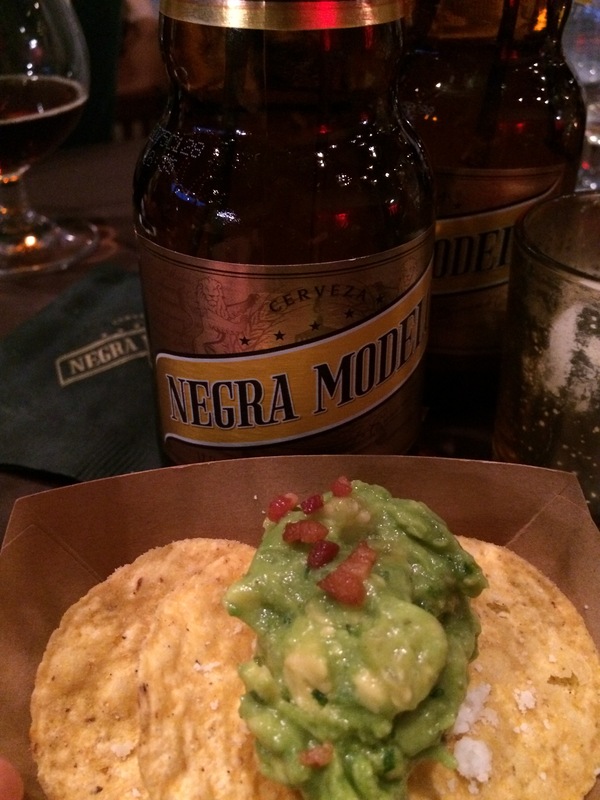 Special thanks to Negra Modelo for having me and, of course, thanks to Chef Rick Bayless for sharing his culinary expertise with us. Cheers! Disclaimer: I received product and/or compensation from Negra Modelo. Please note that all views are my own!